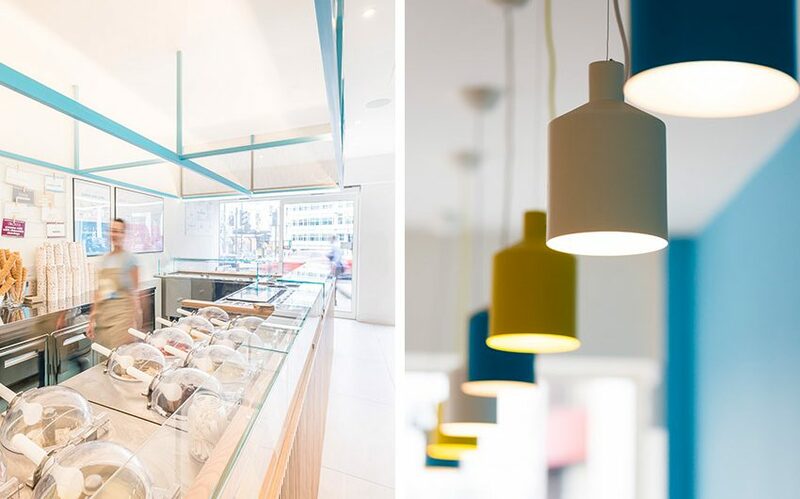 This gelato shop in the core of Wimbledon takes a fresh approach to building a retail space, celebrating the ‘G’ like Gelato brand with a bright, expansive space that combined charming cedar accents with sleek functionality. 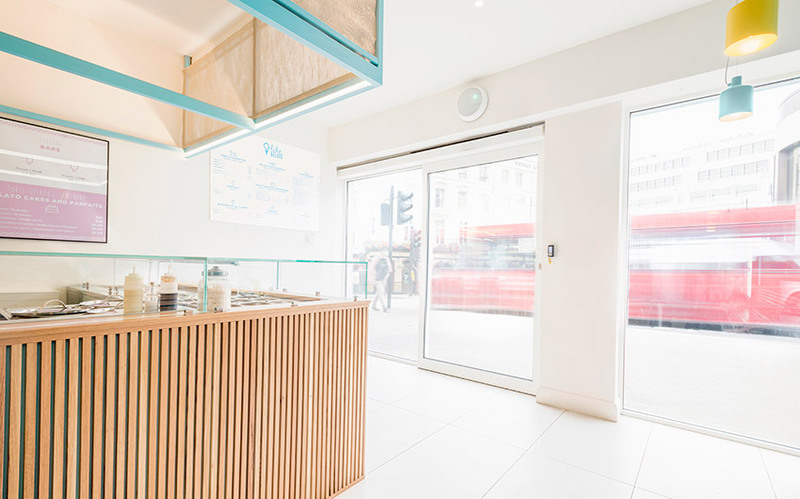 An expansive front window floods the front service area with natural light. 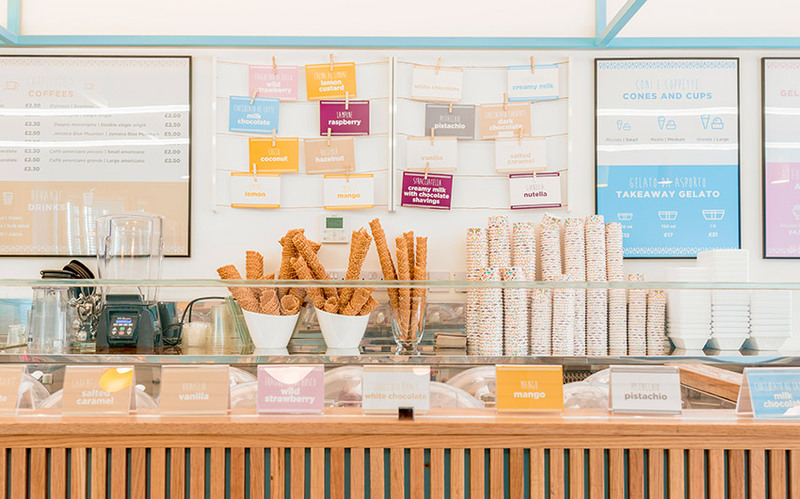 A wide glass-panelled partition extends behind the service counter, revealing the gelato-making workshop, allowing customers to peek behind-the-scenes to where the magic happens.